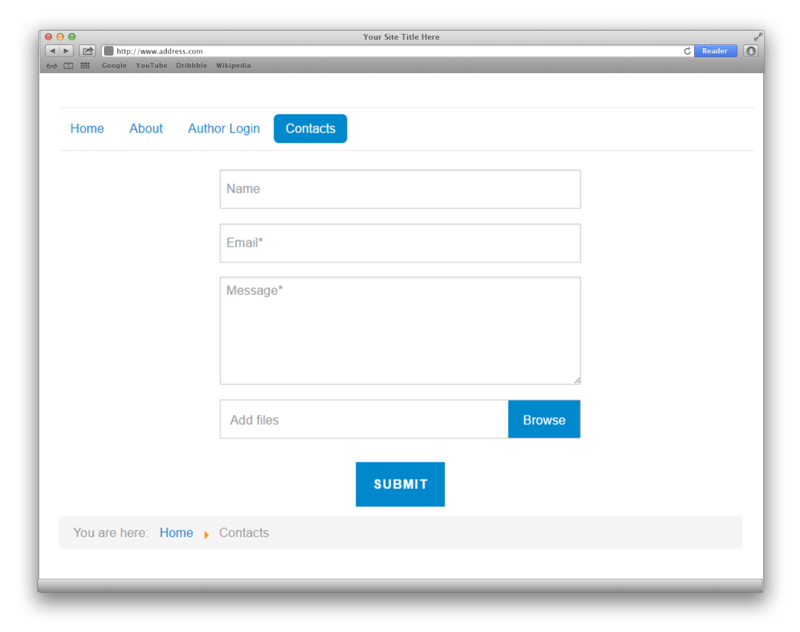 Custom Contact Form for Joomla. Popup and Classic layouts. Why Contactus is the best Contact form for Joomla? The module has clean and responsive design. All elements are optimized, so your form will looks same on all devices. Our license doesn't limit installation counts. Install it anytime you want. Also no additional fee, you pay once for all. Contactus is easy to use and configure. You can choose a color scheme, fields to display, edit sending messages etc. Below you will find detailed video instructions for module configuration. All modules have Google Analytics goals template. Just fill a few fields and track your goals. In the premium version you can build and customize your own form. Use fields, selects, texts, checkboxes and other elements. Also you can create form with dependent fields. Create classic and popup forms. Call the modal box on click of a button, text, menu item, any element you want. We made great file uploader for the Contactus. Now, you can add multiple files to the message. We use Google Recaptcha 2 and 3 in the module. This captcha is easy to use and provide maximum protection. Add the sticky button to your page and users can call the "contact us" form from anywhere.